In today's world of multinational conglomerates and faceless superstores it's wonderful still to be able to deal with a real family business. In 1919, Bill (F.W.) 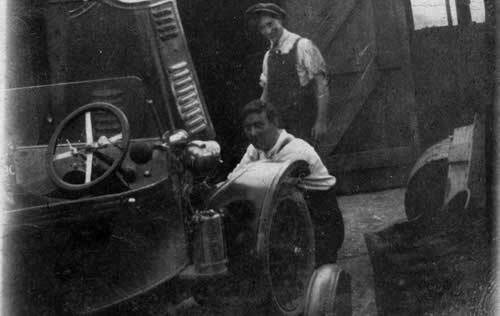 Cutts, having served in France in the First War as an aircraft engineer, secured employment as a chauffeur/mechanic at The Noel Arms Hotel, Chipping Campden following an engineering background in Nottingham. F.W. 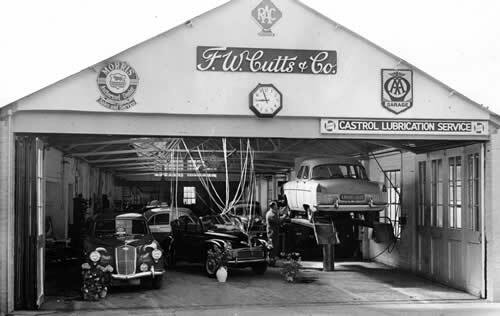 Cutts & Co. was established in 1921. 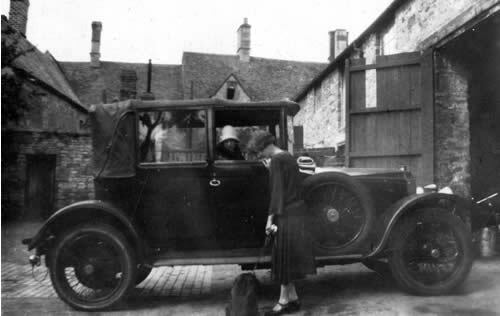 Campden then had five cars to it's name, four of which belonged to The Noel Arms whom he had just left! 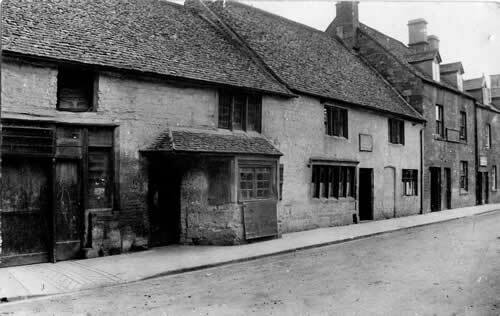 Grandfather Cutts thrived in workshops in The Red Lion yard and in 1926 purchased some of the now Cutts of Campden site off the High Street. 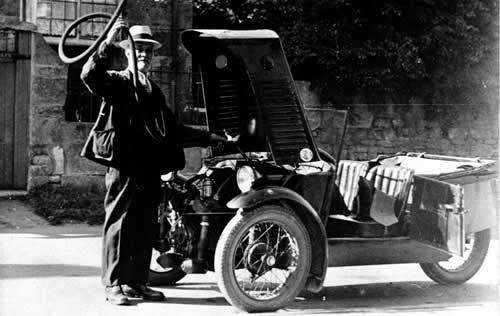 He was appointed Morris and Wolsley agent in the 1920's and later became an MG specialist. He sold and serviced agricultural machinery, employing George Hart, later famous as Jethro in The Archers, as an agricultural representative. He held the franchise for Nuffield Tractors. 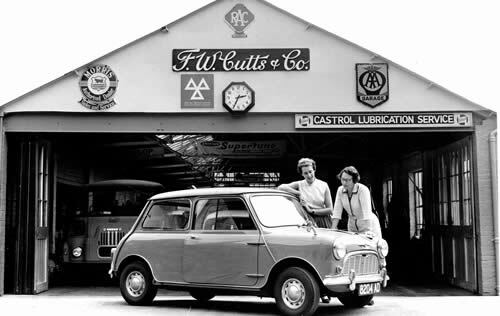 Philip and Nancy Cutts took over the business in the 1950's. 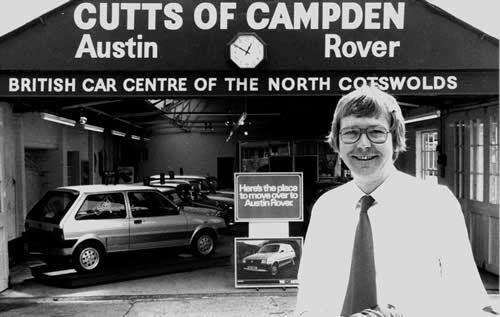 Further land and an access into Sheep St had been aquired by then and they saw the period of British Leyland, Leyland Cars and finally Austin Rover. Their son Nicholas, F.W. 's grandson became proprietor on their retirement in 1982. Nicholas saw an opportunity in 1987 to switch to the Ford franchise and has led a successful team since then. 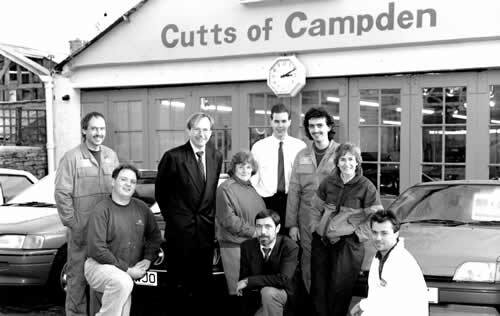 The atmosphere is still one of a long established family business. The staff are like a big family and know the customers and their cars well. The company not only works together but plays together. The Cutts of Campden Cricket Team play regularly in the area with increasing success. See the Cutts Cricket page. It is so nice in this day and age to receive real personal service from people who want and value your business. Come to Cutts and you'll see what we mean.